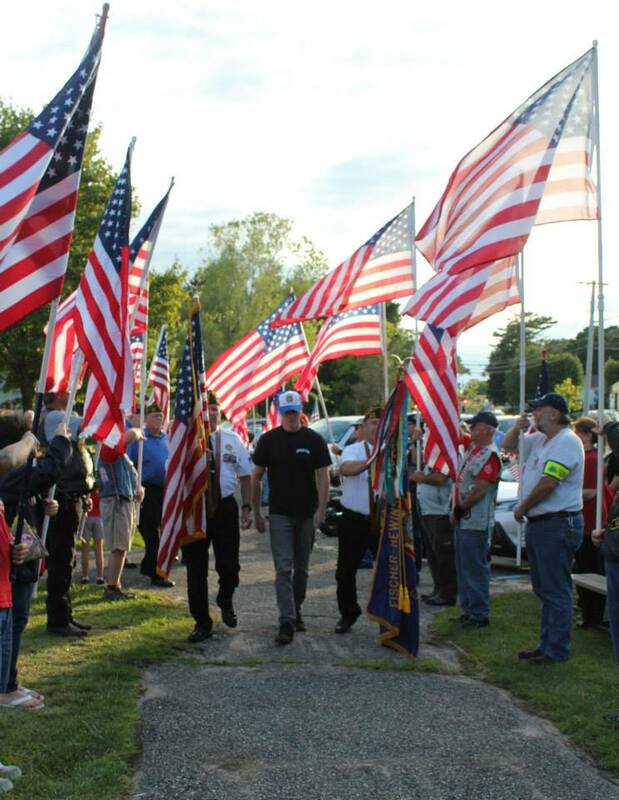 In August of 2014, Gold Star and Blue Star Mothers and Families joined the Longwood Community in a Homecoming Celebration for Kurt Schramm, who was honorably discharged from the Marines after serving in Afghanistan Among the Welcome Home remarks that night, none were more touching than those of the Gold Star and Blue Star Mothers. Their sincere joy at Kurt’s safe return was unforgettable. During this beautiful evening, we also talked about the possibility of erecting a Gold Star Memorial here; it seemed a fitting addition to the seven existing monuments at Bartlett Pond Park. The Longwood Alliance applied to the Town of Brookhaven for a Community Development Block Grant, which the Supervisor, Town Council and Commissioner of Housing and Human Services subsequently approved. On Sunday, September 24, 2017, we are honored to give this newest Gold Star Families Memorial a permanent home. May it convey peace, comfort, and gratitude to the deserving families who gather there. 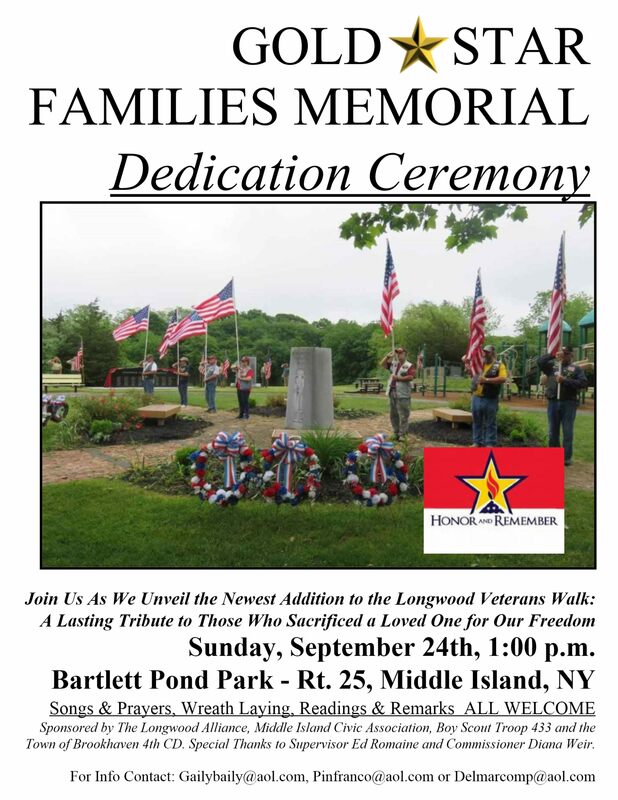 Please join us for a moving and memorable ceremony at 1:00pm at Bartlett Pond Park in Middle Island. All welcome.